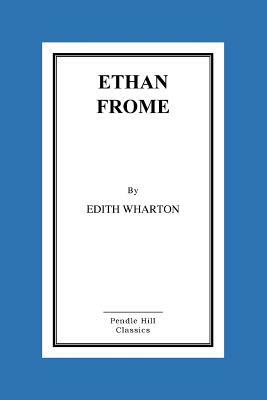 ETHAN FROME I had the story, bit by bit, from various people, and, as generally happens in such cases, each time it was a different story. If you know Starkfield, Massachusetts, you know the post-office. If you know the post-office you must have seen Ethan Frome drive up to it, drop the reins on his hollow-backed bay and drag himself across the brick pavement to the white colonnade; and you must have asked who he was. It was there that, several years ago, I saw him for the first time; and the sight pulled me up sharp. Even then he was the most striking figure in Starkfield, though he was but the ruin of a man. It was not so much his great height that marked him, for the "natives" were easily singled out by their lank longitude from the stockier foreign breed: it was the careless powerful look he had, in spite of a lameness checking each step like the jerk of a chain. There was something bleak and unapproachable in his face, and he was so stiffened and grizzled that I took him for an old man and was surprised to hear that he was not more than fifty-two. I had this from Harmon Gow, who had driven the stage from Bettsbridge to Starkfield in pre-trolley days and knew the chronicle of all the families on his line. "He's looked that way ever since he had his smash-up; and that's twenty-four years ago come next February," Harmon threw out between reminiscent pauses. The "smash-up" it was-I gathered from the same informant-which, besides drawing the red gash across Ethan Frome's forehead, had so shortened and warped his right side that it cost him a visible effort to take the few steps from his buggy to the post-office window. He used to drive in from his farm every day at about noon, and as that was my own hour for fetching my mail I often passed him in the porch or stood beside him while we waited on the motions of the distributing hand behind the grating. I noticed that, though he came so punctually, he seldom received anything but a copy of the Bettsbridge Eagle, which he put without a glance into his sagging pocket. At intervals, however, the post-master would hand him an envelope addressed to Mrs. Zenobia-or Mrs. Zeena-Frome, and usually bearing conspicuously in the upper left-hand corner the address of some manufacturer of patent medicine and the name of his specific. These documents my neighbour would also pocket without a glance, as if too much used to them to wonder at their number and variety, and would then turn away with a silent nod to the post-master. Every one in Starkfield knew him and gave him a greeting tempered to his own grave mien; but his taciturnity was respected and it was only on rare occasions that one of the older men of the place detained him for a word. When this happened he would listen quietly, his blue eyes on the speaker's face, and answer in so low a tone that his words never reached me; then he would climb stiffly into his buggy, gather up the reins in his left hand and drive slowly away in the direction of his farm.